There’s something so satisfying about completely finishing a product. I’m guilty of buying a variety to alternate and never seem to get the bottom of anything. When I finally finish something, it’s a solo victory that’s short lived, because I’ve tossed it in the trash and forgotten all about it. So today I’m going to celebrate – my trash. 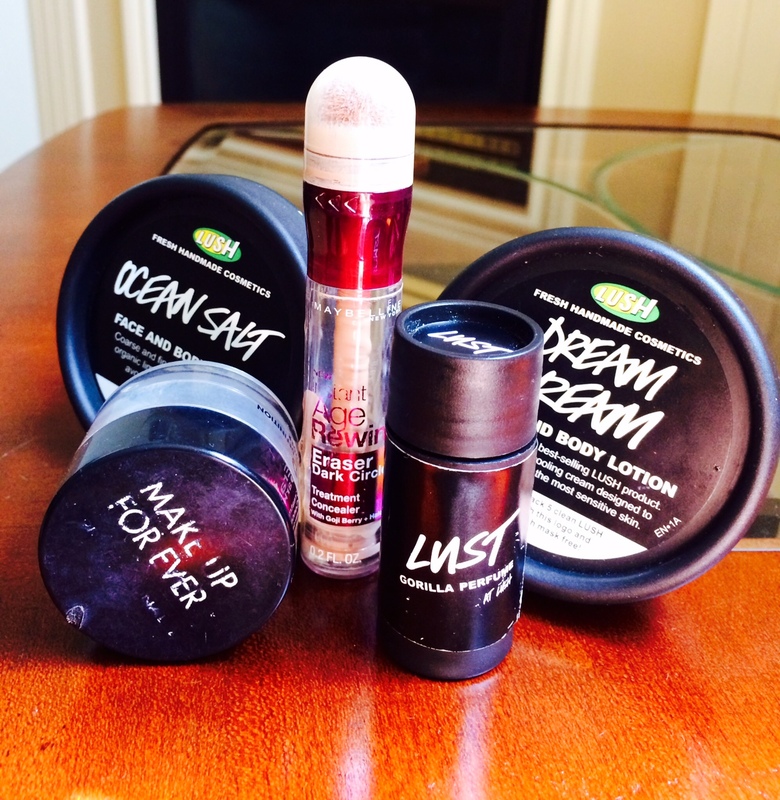 I’ve got the Makeup Forever foundation and used this translucent powder to set my makeup. It’s lightweight and gives a great photo-ready finish. You don’t need much of it, which means it lasts forever. That’s definitely a good thing because it’s quite pricey for the quantity in one jar. Bottom Line: Would definitely repurchase. I’ve always wanted a signature scent. You know, the kind where everyone smells it and automatically thinks of you? I tried Lust in hopes of finding that perfect personalized scent by combining it with my actual perfume, and I completely loved it. It smells exactly like jasmine, and not like artificially produced floral scents. It lasts for hours and is easy to toss in your bag to use on the go. Bottom Line: I’ve gone through three of these. I’ll repurchase this forever. With sea salt, avocado butter, and lime this scrub promised to exfoliate, moisturize, and brighten. As an exfoliator, this is one of the best scrubs I’ve ever used. The only downfall that it seemed a little too harsh on my skin. After scrubbing with it, my face felt clean but also a little raw. On the plus side, it was a beautiful shade of blue and smelled like a tropical drink. Bottom Line: Wouldn’t repurchase. The St. Ives Apricot Scrub suits my skin better and has salicylic acid in it to prevent and treat acne. I could get 10 hours of sleep and still look like I’ve been up for three days with no rest. Just using foundation under my eyes wasn’t cutting it, so I decided to take the advice of a few YouTube beauty gurus and buy this concealer. It does wonders by not only making dark circles disappear, but also brightens and makes me look like I’m actually awake. This concealer was even part of my Holy Grail Beauty Products, because I’m that obsessed. The only downside is the awful twist-up applicator. I hate that I can’t wash it, which seems even worse since I’m putting this by my eyes. Maybelline please come out with an improved version. Bottom Line: I’ve already repurchased it. Oh look, another Lush product, how surprising! I got this lotion as part of a Christmas gift set and initially, I hated it. It’s primarily almond and oatmeal and smelled a little like the elderly. In a rush to finish it, I began using it on my legs after a shower and then I was hooked. It’s a really heavy moisturizer, which is vital for surviving dry Canadian winters. If you’ve got dry skin, I would definitely recommend this lotion. Being a Lush product, the ingredients are all-natural and fresh, so you don’t have to worry about assaulting your body with a batch of chemicals. Bottom Line: Unsure whether I’d repurchase. There’s too many body lotions out there that I haven’t tried and I’ve got commitment issues settling with just one.